Nearly 40 million Americans are over the age of 65, and according to the U.S. Census Bureau, that number will increase to over 70 million over the next thirty years. This reality will cause more and more families to face various challenges, ranging from emotional to financial, as more people become less able to fully care for themselves. As we age, our body loses strength, our minds may become less sharp, and our sense of hearing and sight could decline. Any combination of these deteriorating factors, if severe enough, could limit our ability to completely care for ourselves. Nobody knows how their bodies will handle the aging process and whether they will be self sufficient throughout their life. As we experience the effects of aging, it is common to have concern over what may become of us when we just can’t manage life on our own. An individual’s capacity to perform important everyday tasks is a major factor in determining the care options that are best suited for them. Broadly speaking, there are a few basic care options: care in your own home, an assisted living facility, or nursing home. Care in your own home can range across a continuum of minimal assistance (a nurse preparing medications for the week), modest assistance (periodic visits and service by a certified home health aide), to full assistance (24 hour live-in care by a certified home health aide). As if the emotional and physical burden of deteriorating health wasn’t enough, the additional financial load can be challenging for most families. There are various options available for man- aging the additional financial strain of elder care. These options include: personal savings, reverse mortgage, Medicare, Medicaid, family assistance, and private long-term care insurance. Depending on each person’s circumstance, many combinations of these options can be utilized. 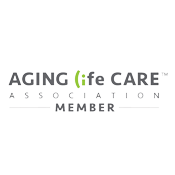 Although the guidelines above provide helpful insight on a person’s ability to adequately care for themselves, it is always best to have a doctor or certified geriatric care manager provide professional advice on what options are best for each person. From a financial aspect, seeking advice from a Certified Financial Planner, a Certified Public Accountant, or an Elder Law Attorney will help ensure all available financing options are considered. 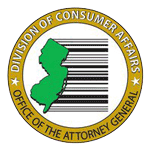 About the Author: Janine Davis, BSN, RNC, owner of Claddagh Home Care Janine Davis, a New Jersey native, obtained a bachelor’s degree in the science of nursing from Capital University in Columbus, Ohio. After receiving her degree, Janine worked as a nurse in Columbus then returned to New Jersey in 1997 where she performed various nursing duties for a local facility that provided in-home and resident care for the elderly. After realizing she loved working with the elderly, she worked to become certified in geriatric care and opened Claddagh Home Care. 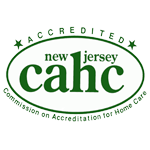 Claddagh Home Care, which is based in Morristown and serves Morris and surrounding counties, offers Geriatric Care Management and in home care by New Jersey Certified Home Health Aides. You can contact Janine Davis at 973.598.9730 or info@claddaghhomecare.com to discuss what option may be best for your situation.